Welcome to The Promotion Team's Information Page! 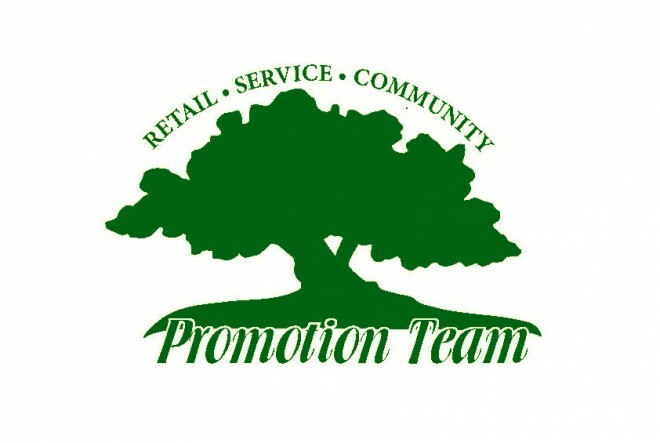 The Promotion Team is an extension of the Jackson Area Chamber of Commerce. It is made up of representatives from Chamber Businesses in the area. The mission of The Promotion Team is to work together, leverage ideas and advertising dollars to promote and grow businesses. This is accomplished through shop local or shopping promotions, assisting with community events which draw people to the Jackson Area, and implementing new ideas to benefit the businesses. President: Justin Lessmen - Livewire Printing Co.
Vice President/Secretary: Justin Lessman - Livewire Printing Co.
Any Chamber Business is welcome to attend or send a representative(s) to the monthly meetings. Meetings are held the first Wednesday of each month at 8 am at Santee/Embers. During the meetings business representatives have the opportunity to learn about current or upcoming promotions, brainstorm new ideas for events and promotions and play an active role in the Team's overall direction. They also have the opportunity to volunteer their services, or that of their business for participation in various events and promotions. Each Event or Promotion has a sub-committee assigned that is responsible for implementing and carrying out the event or promotion. The following events/promotions have been scheduled for 2015, and have had advertising dollars allocated. 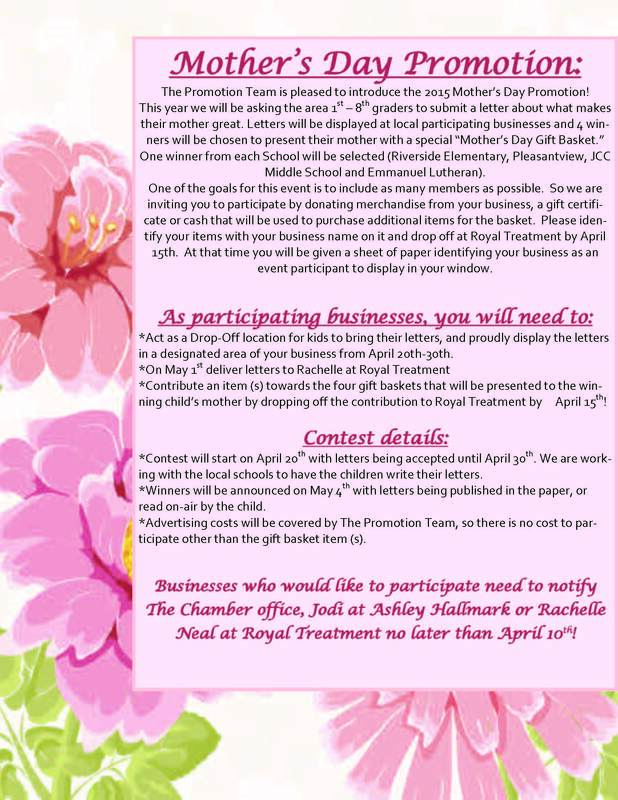 As a member of The Promotion Team, or a Chamber Business, feel free to use this list to start brainstorming ideas on how your business can participate and benefit!